The Queens Theatre will be closed from July 2019 for major renovations. 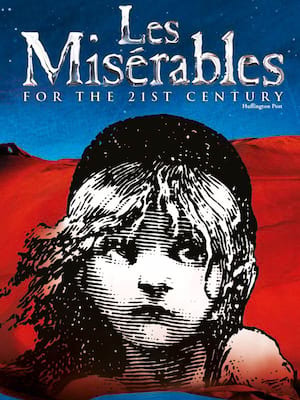 Catch Les Miserables from December 2019 at the Gielgud Theatre. 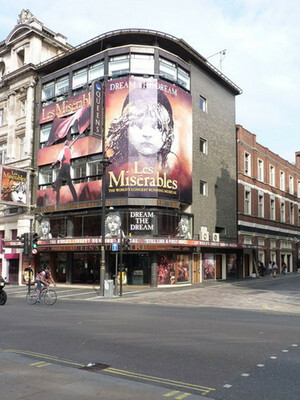 The home of musical theatre giant Les Miserables, The Queens Theatre has been serving Shaftesbury Avenue alongside its twin (The Gielgud, nee The Hicks) since 1907. Named for Queen Alexandra, this Edwardian theatre has had a bumpy ride throughout its history, becoming the first West End casualty of WWII in September 1940 when a Luftwaffe bomb rudely ended a run of Daphne Du Maurier's Rebecca. Whilst reported in The Stage newspaper in 1907 as having some 1200 seats making roughly three hundred pounds a night, the auditorium now seats a more comfortable 1,074 and makes substantially more!